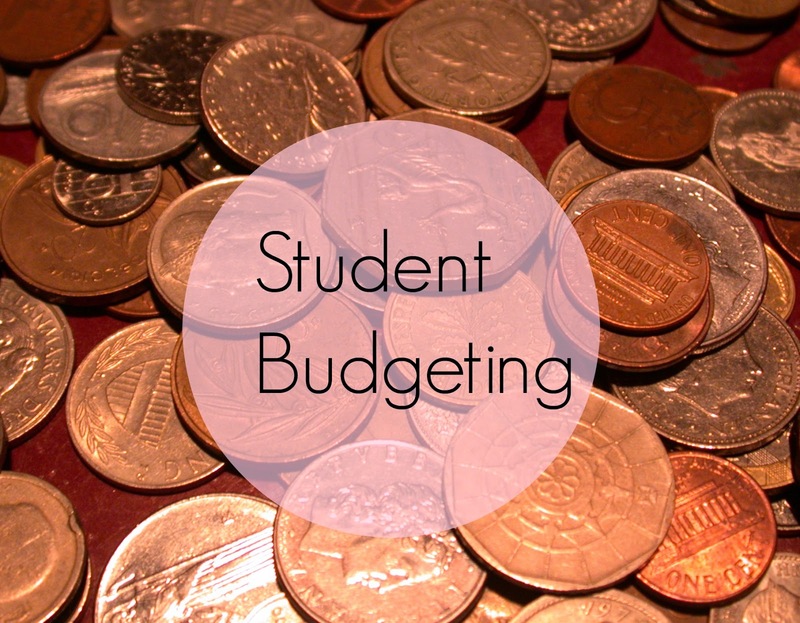 Once you have your letters from student finance, take off your accommodation and that is how much you will have to spend that term. Divide it by however many weeks until your next loan and tadaa! Remember to take off any other monthly expenditure such as phone contracts, netflix etc. Also, remember to save some money for the time that you are at home as well! If you are serious about sticking to your budget, get out the cash for the week rather than using your card. You know then that you can't spend any more than your weekly budget. This is also important when on a night out. I often don't take my debit card with me so that I don't spend a lot of money! If you do use your card, write down what you spend on food/going out/online shopping - this is not only useful for looking at how much you are spending, but you can also make sure that nothing fishy is going out of your account. Saving your £1/50p/20p to pay for washing machines and bus fares etc can all add up if you save a bit every time you get some change. You will not be able to afford to do your food shopping at Marks and Spencers or constantly go clothes shopping. Just be cautious and don't go crazy. Don't spend all your money for one week? Don't spend it, save it! One of these is also a must! You can save a third off rail travel, vital for going home or visiting friends. Santander give a 4 year one away for free when you sign up to their student accounts. If you are having problems with money, the student union can give you advice. It is just about having a bit of restraint and being responsible. There is no point using all your money in Freshers Week and not being able to eat, but don't feel bad if you don't stick to your budget for one week, just save some money the next. University is getting close now for many - I don't start until the 29th of September which is really late. Living in university halls of residences was something that I never prepared myself for. The accommodation that I was put in had 19 of us on one floor with shared kitchen and bathroom facilities. It doesn't sound very glamorous does it? 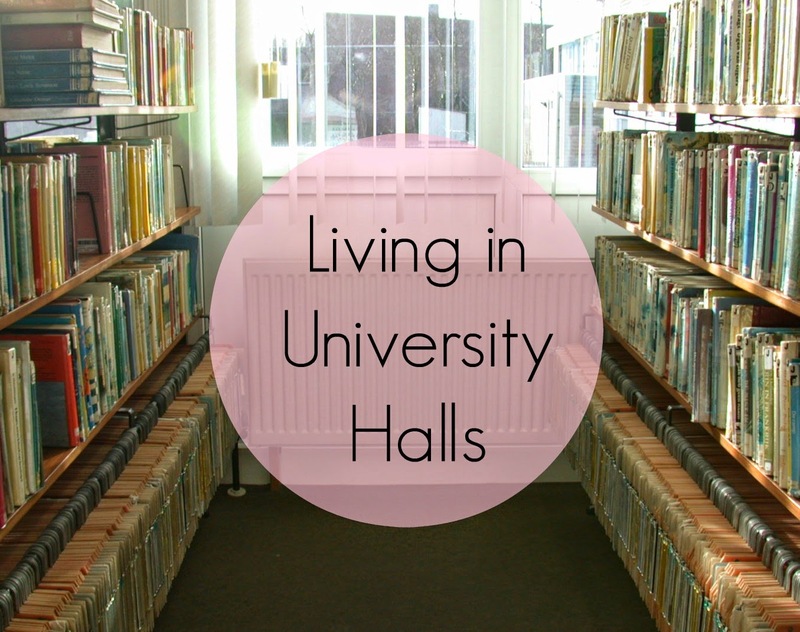 Luckily, I got on really well with the majority of my flatmates this year, but here are some tips and tricks on living in halls. I am not talking about written down rules, but things such as 'you can use my kitchen things if you put it back' etc. Setting these up early will make it a lot more easier. Also sorting out cupboard/fridge space early is also a must. This goes without saying... *cough* although some people will not follow this! Clean up after yourself whether this is in the kitchen area or bathrooms. It really isn't nice when it is dirty! If you live with a lot of people, it will be very noisy, with different people coming in and out. This is what I found quite hard at the beginning. Earplugs are great, and don't be afraid to ask people to be quiet. A good nights sleep is crucial! If there is a problem, take it up individually and nicely. I couldn't imagine what my first year would have been like if I hadn't got on with some of my flat mates. It can make the atmosphere tense not only for you, but for the rest of your flatmates. What I found the hardest about living in halls was the constant amount of people. I felt like I didn't have any time to myself - I couldn't watch some tv or a DVD without someone knocking on my door wanting to join. It can be very hard for an introvert like myself. So remember to have some time to yourself! Living in halls can be challenging, with fall outs, breakups and misunderstandings. However, this is a new time for you all, so the best thing is to support each other. And of course have fun! I regard most of my flatmates from last year as really good friends. It's like having your own family away from home. This may seem a slightly weird blog post, but over my first year of university, I have had some great nights out, as well as some truly awful ones. I enjoy a drink, but don't like being completely out of it when I am out clubbing - I like to remember what happened in the morning. And sometimes, I don't drink at all. So.. I am writing this to debunk the common myth that you can only have fun when alcohol is involved. Don't go into the evening thinking that it is going to be awful because (a) all your friends are drinking and you aren't (b) you are going to be the odd one out etc etc. Go in thinking that you are going to have a good night with your friends. This is mainly one for pre-drinks (especially at university). Don't awkwardly stand there. Join in, take your own soft drink and keep it with you, talk to people and get involved. Whilst this may seem a little clingy, don't let them out of your sight. Stick with them. If they are your true friends they will stay with you for the night and not leave you by yourself. There is nothing worse than that. 8. And if it all goes wrong... Make sure you have enough money to get a taxi home and chalk it up to experience. On a sidenote, thank you to everyone who is following me on bloglovin'. I hit 100 followers last night and am so grateful, so thank you so much!